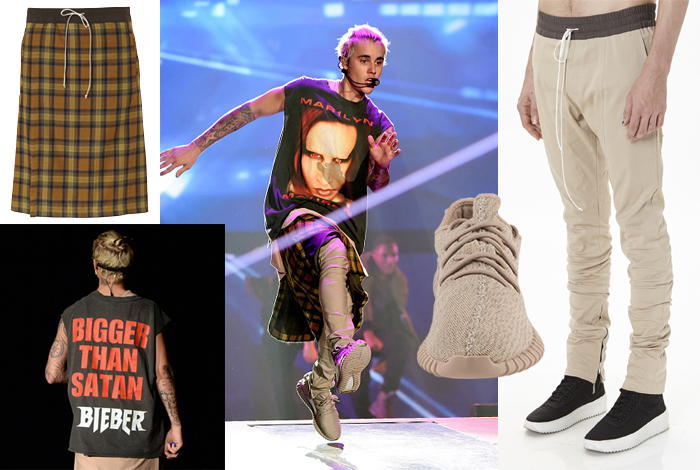 Whether you choose to accept it or not Justin Bieber has been trendsetting ever since his comeback last year. 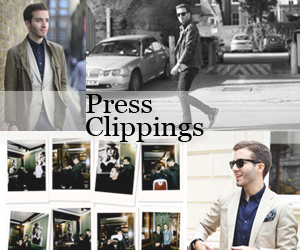 His choice of oversized top silhouettes and super ripped slim jeans might not be for everyone but it has undeniably propelled brands and trends from the so-called 'streetwear luxe' onto mainstream fashion. And so Bieber has quickly become somewhat of a style icon thanks to his interesting combinations of Saint Laurent, Off White, Supreme, Undercover and Fear of God. 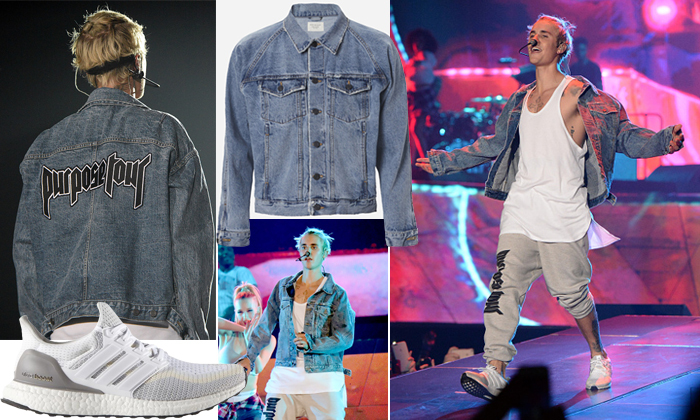 It's this last one that Bieber and his stylist Karla Welch seem to favour over any other so it was only natural Fear of God would dress Justin for his 'Purpose' tour, which kicked off in Seattle last Wednesday. 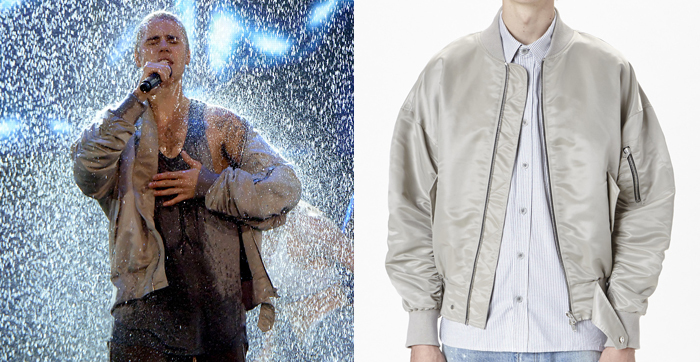 If, like me, you're a fan of Fear of God you will recognise some of their most signature pieces like the ripped Selvedge jeans, the denim raglan trucker jacket or the long and short sleeve version of their flannel shirt. These are paired with a great selection of some of the best pieces from the brand's fourth collection as well as some customised and new pieces made for the tour. 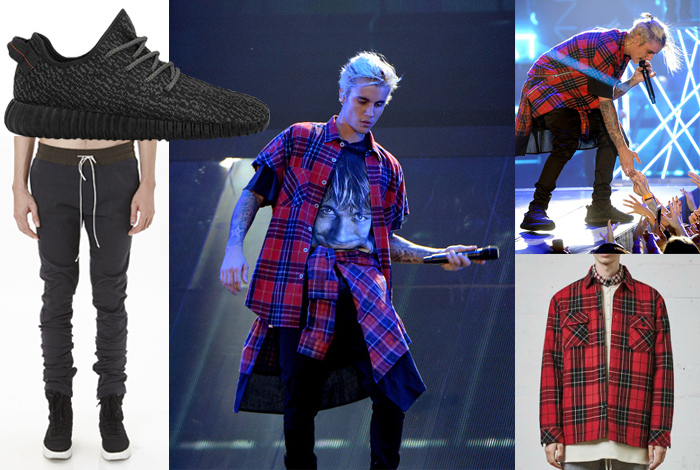 Fear of God footwear is coming up soon but in the meantime Bieber had to do without. He opted for the Adidas Ultra Boost and the Yeezy Boost 350's in black and oxford tan. 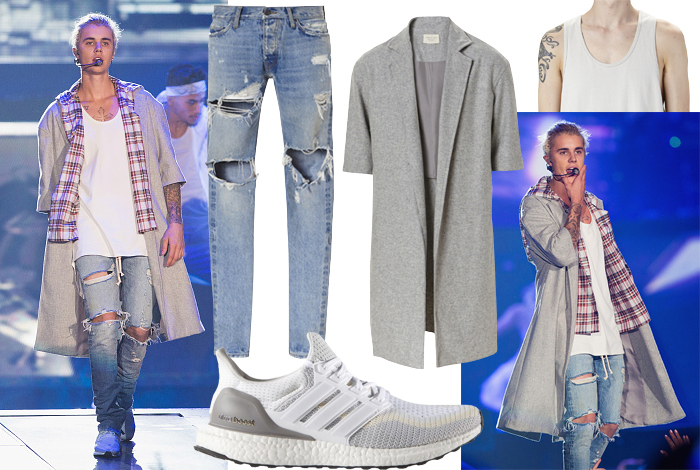 Now, this might seem like an odd suggestion from a fashion/style blog but I would advice you to keep an eye out for Bieber's tour merchandise, which is heavily influenced by Fear of God and Vetements, the other big name of streetwear luxe at the moment. If you don't mind sporting 'Bieber' or 'Purpose' across your chest some of these pieces would actually look quite cool mixed with your existing wardrobe. You can always say it's ironic.